Leaving My Old Self Behind was recorded entirely live with the Country & Northern band in the Mareel arts centre in Lerwick, in 2013. This has given the songs a fresh, loose and vibrant sound. The E.P. features four brand new songs, alongside new versions of 'Dirt' and 'We Leave So Many Things Behind', which previously appeared on the Country & Northern album. "... it has a tremendous freshness, verve and vitality ... The great tunes, excellent playing and some very impressive singing are allowed to shine through." If you'd like to download a copy of Leaving My Old Self Behind E.P. just choose 'Download' from the options below, or visit iTunes here. Once you've paid, you will automatically be redirected to the download page. CDs can be signed, so just specify if you'd like a signed copy when ordering. Anyone ordering a CD will also be redirected to the download page. 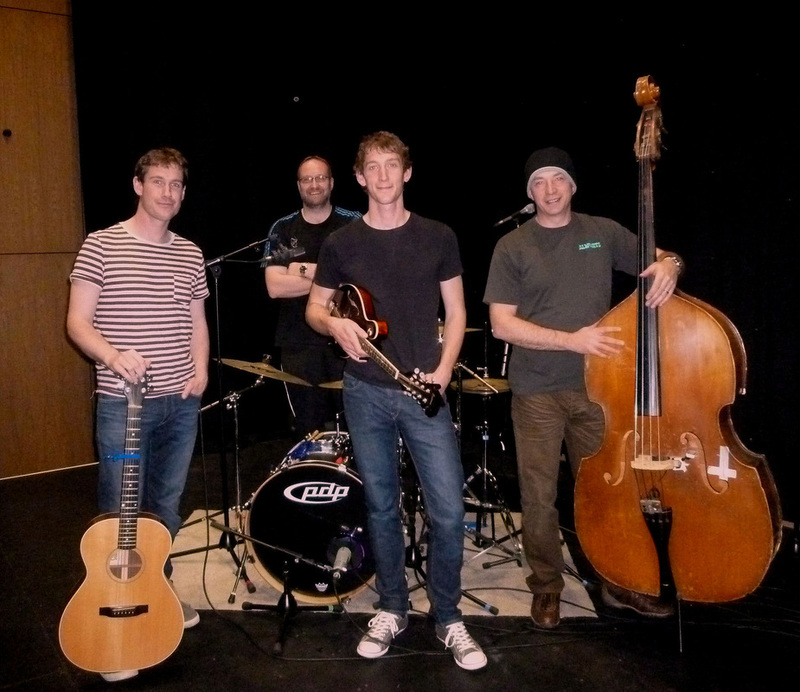 The C&N band (from left): Malachy Tallack, Victor Sandison, Rory Tallack, Graham Malcolmson.